By Melissa Lennig on February 18, 2017 16 Comments. This content contains affiliate links. As an Amazon Associate I earn from qualifying purchases. 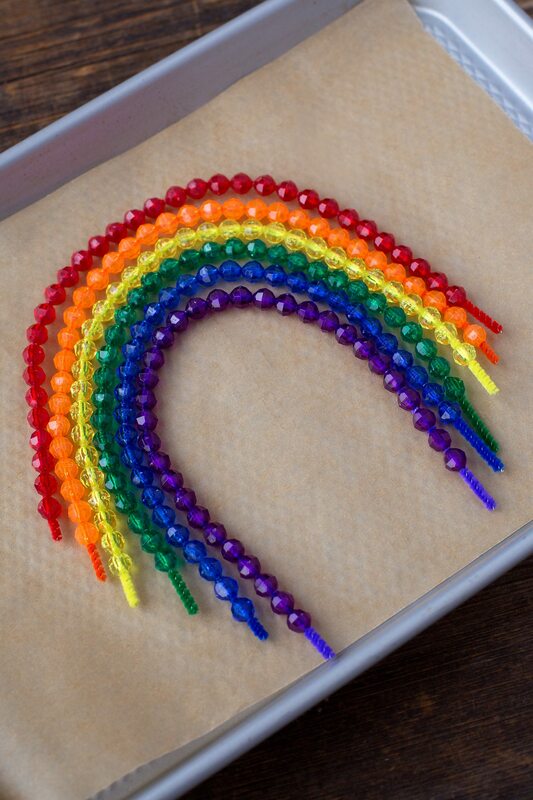 Inside: Fused Bead Rainbow Suncatchers are a vibrant fine-motor craft, perfect for teaching preschoolers colors and celebrating spring! Winter can be so grey and dreary! 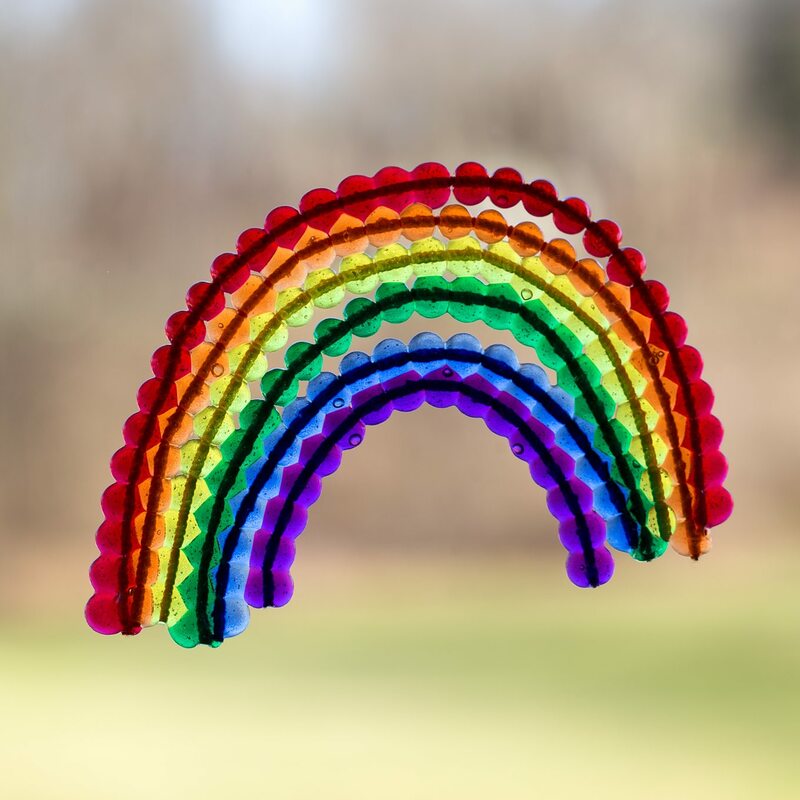 Brighten up your home with vibrant Rainbow Suncatchers. This colorful fine-motor craft is perfect for teaching preschoolers colors. 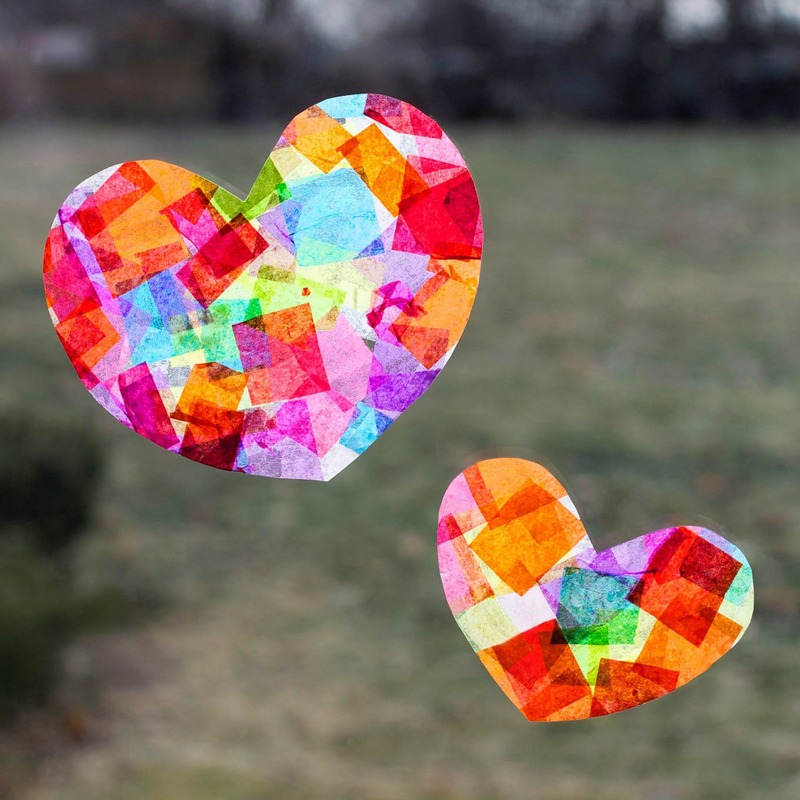 We love to make colorful suncatchers for different seasons and holidays. 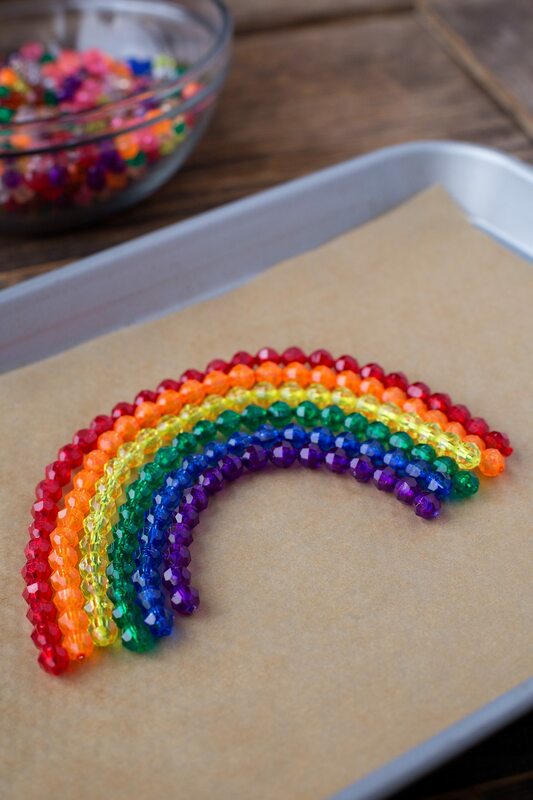 This Fused Bead Rainbow Suncatcher is perfect for St. Patrick’s Day and spring! 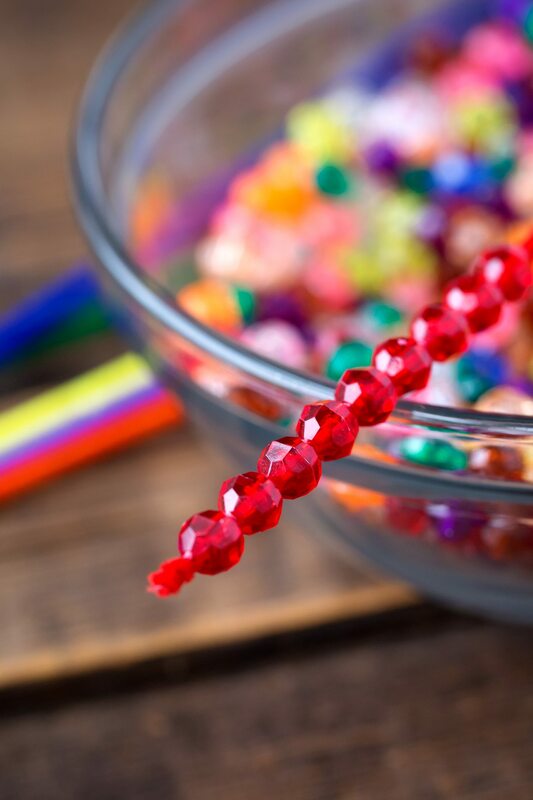 Invite your child to string red beads onto a red pipe cleaner. Continue with every color, using 1 chenille stem/color. When the beading is complete, bend all of the chenille stems into an arc. 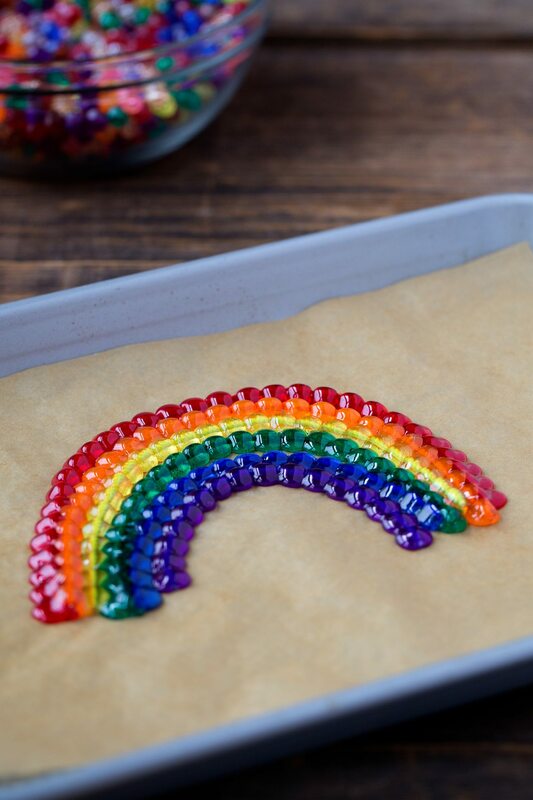 Arrange the chenille stems as a rainbow on a parchment paper lined cookie sheet. Make sure the chenille stems are as close together as possible and that the beads touch in several locations. 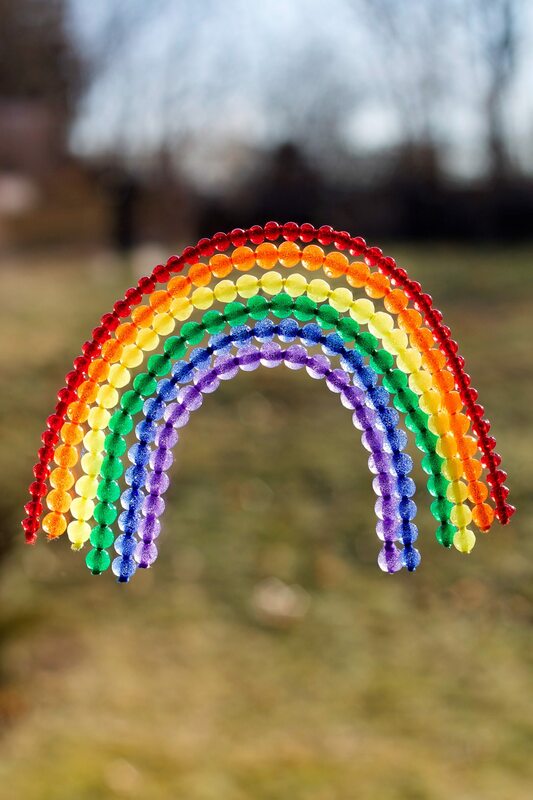 Using the scissors, trim the tips of the pipe cleaners so the rainbow has an even edge. Place the cookie sheet into a cold oven and set to bake at 350° for 10 minutes. 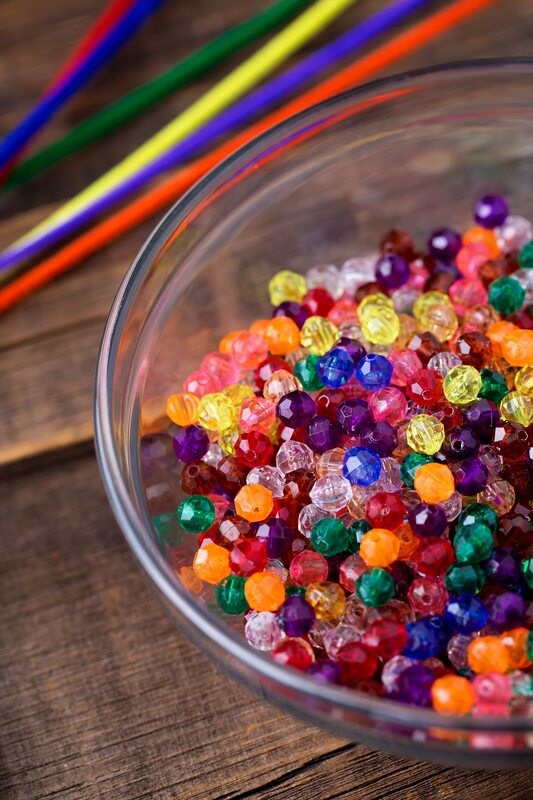 After 10 minutes at 350º, you will notice that the beads have melted and fused together. Turn the oven off and allow the cookie sheet to cool completely inside of the oven. NOTE: When the beads are melting, they do emit fumes (they are not overpowering fumes). Crack a window and run the oven fan for fresh air. 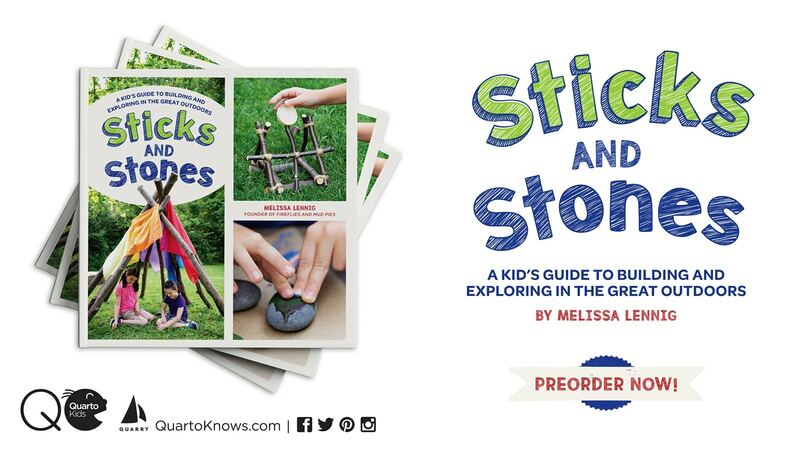 Tie a loop of fishing line through the top of the arc and hang in a sunny window. Bright and cheery, I love to see these Rainbow Suncatchers hanging in my kitchen window! Aren’t they gorgeous? Rainbows make me smile! 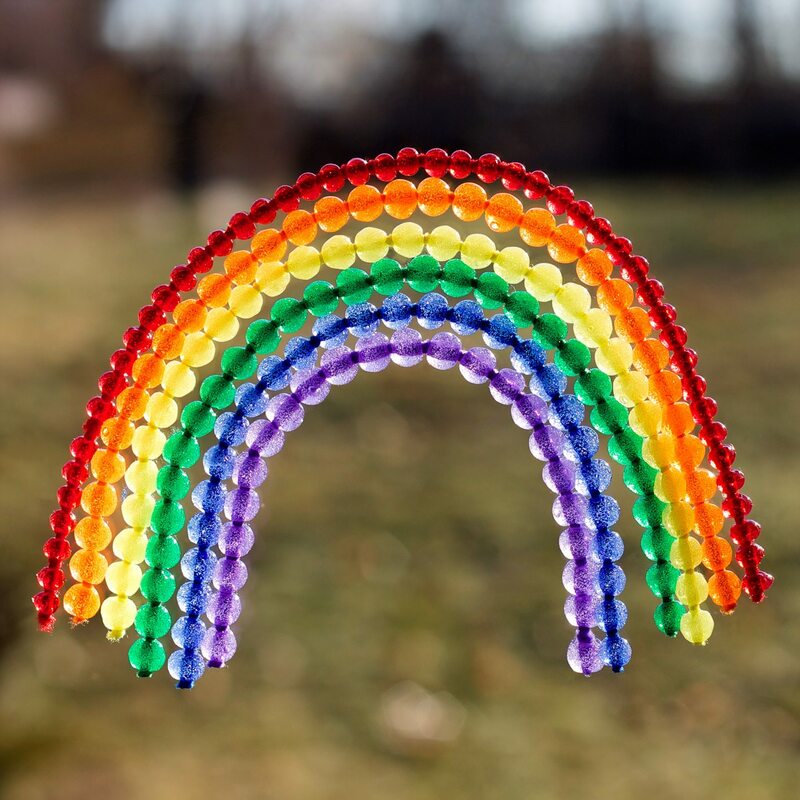 Click the image below to view another pretty rainbow craft for kids. Is there a specific reason we need to leave this cool completely in the oven? I’m wanting to try this with the 3 girls I watch, but having each one cool completely in the oven will take forever. Can I not sit it out and let it cool? Hey there! Thanks for reaching out. I prefer to cool them in the oven just because they are tempting to touch and I didn’t want little fingers to get burned.